Creator: Anthem Press. All rights reserved. 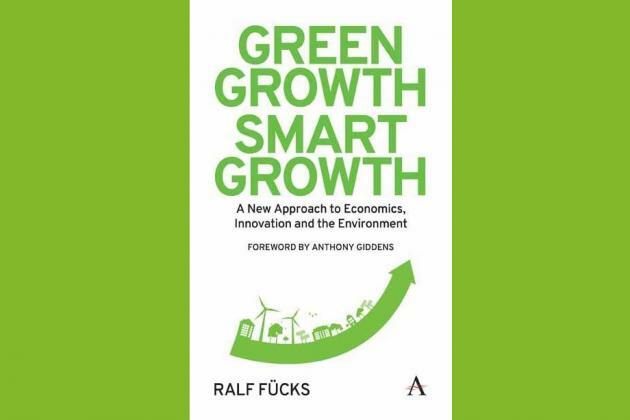 The Guarini Center is hosting a breakfast with Ralf Fuecks, President of the Heinrich Boell Foundation, to discuss his new book Green Growth, Smart Growth: A New Approach to Economics, Innovation and the Environment. The event will take place in Snow Dining Room at NYU School of Law from 8:30 – 9:30 am. Mr. Fuecks’ book tackles the question, how can we change the patterns of growth away from growing at the expense of ecosystems to a new paradigm based on growth with nature? future of European integration, and on foreign policy. Within the Foundation, he is responsible for the divisions of domestic political education, Europe and North America as well as German- Israeli-Relations.